In a state known mostly for its apples and evergreens, Washington is one of the top exporters of potatoes (sorry to steal your thunder, Idaho). It’s true, we do AG very well, but it’s not all pitchforks and hay rides, it’s really hard work. And today’s farmers have taken advantage of technology to help in their process. The Potato Commission has gone to great lengths to reach aspiring young chefs as part of their outreach. 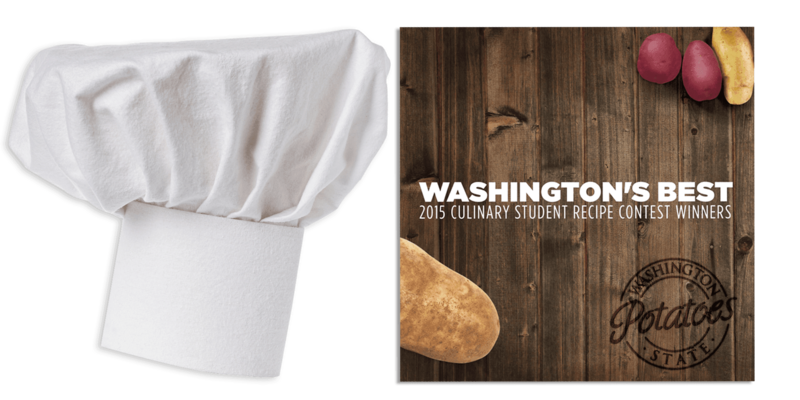 The culmination of their efforts is summed up in a student recipe competition, where they challenge students at Washington State culinary schools to create an original recipe with the primary ingredient being a potato, any potato. Over the years, they’ve seen some extraordinary innovation in how these young minds are creating potato dishes. Focal Point has helped craft a recipe book and supporting materials that features impeccable recipes in each year’s competition. These very visual recipe books have been a popular giveaway item, as well as a successful marketing piece for the organization. Aside from the student recipe book, we’ve been tasked with developing dynamic print materials to help support the organization’s advertising, marketing and community outreach endeavors. Print ad campaigns, sales and promotional flyers, educational brochures and booklets, infographics, and more. We’ve also provided commercial photography services, both on location and in our studio, to help support and supplement the print collateral. 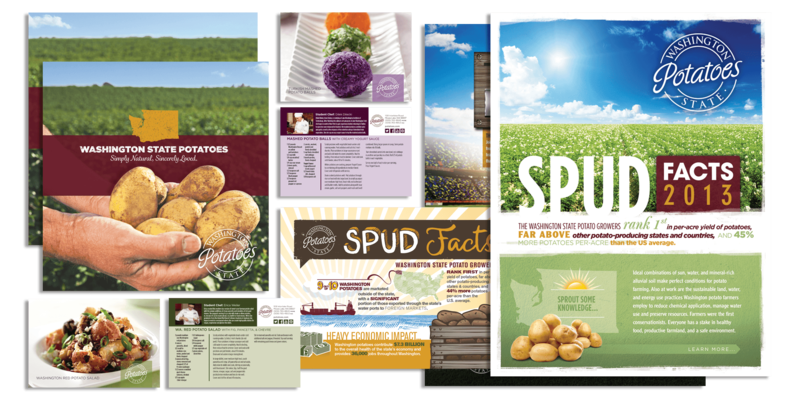 In just a short time, Focal Point has helped create a unique visual aesthetic that has helped contribute to Washington Potatoes’ sizzling marketing strategy. With new and exciting projects on the horizon, we continue to help grow and develop the Washington Potato brand through impactful visuals and storytelling. Harvesting successful campaigns, one potato project at a time!